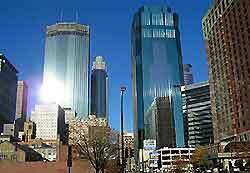 In summer, June through September, visitors to Minneapolis will enjoy hot weather and a humid climate. July is the hottest month of the year in Minneapolis, with plenty of sunny weather and daytime temperatures of around 28°C / 83°F. Summer weather may be wet at times and heavy showers can occur. Autumn weather and climate in Minneapolis can be on the cool side, with crisp days. Winters in Minneapolis are very cold with December, January and February being the coldest months of the year, with daytime temperatures averaging -4°C / 24°F followed by bitterly cold nights. Heavy snowfalls can occur anytime between November through April. 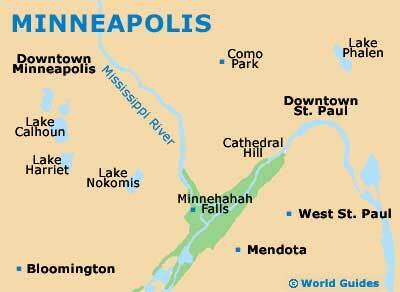 Minneapolis's annual precipitation is around 27 inches / 68 cm. Minneapolis Weather Charts - further Minneapolis climate statistics and charts.